The ILO 1 is a concept of a single place electric vehicle. Equipped with sensors and cameras, this high-tech vehicle makes it possible to detect complex traffic situations. This information is then used to further develop autonomous driving and the vehicle environment. The ILO 1 can be integrated into any transport system. 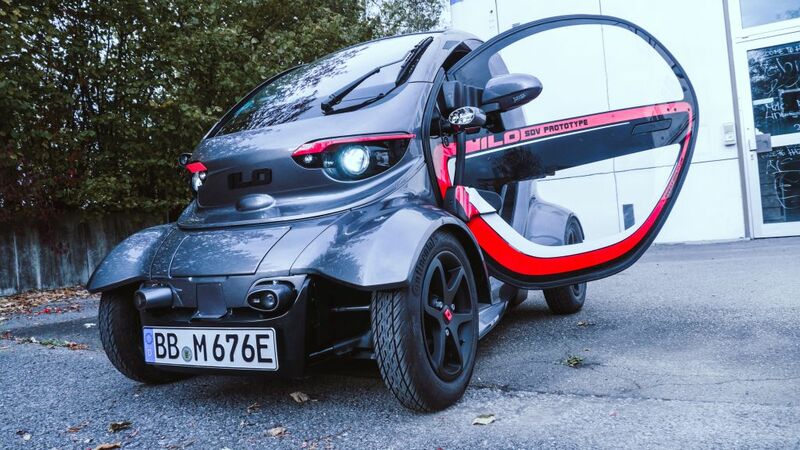 In addition to road legal approval, the ILO 1 has an electric drive. Due to the electric drive, no gas station is needed in the test area. A simple socket is enough to carry out extensive tests. The vehicle has a modular structure and has interfaces in the mechanical and electronic system that are open to individual research and development. 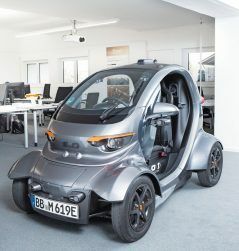 This allows the ILO 1 to be used individually in every research and development project for mobility and transport optimization. “We went into the project with a conceptual approach and asked ourselves what would be necessary in order to fulfil the challenges of mobility. Our car needed additionally to be as light as possible in order to be on the road in an energy-efficient and resource-saving way”, says Armin Müller, CEO of Emm! Solutions GmbH. Often, mobility projects, especially when it comes to autonomous driving, fail because of the complexity of the projects. Development then often becomes very expensive. The ILO 1 therefore offers the perfect solution for their project. The vehicle is individually tailored to their needs and the ILO Mobility team supports them to make their project a success. 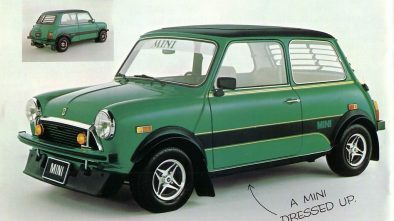 Expected price is €25,000. 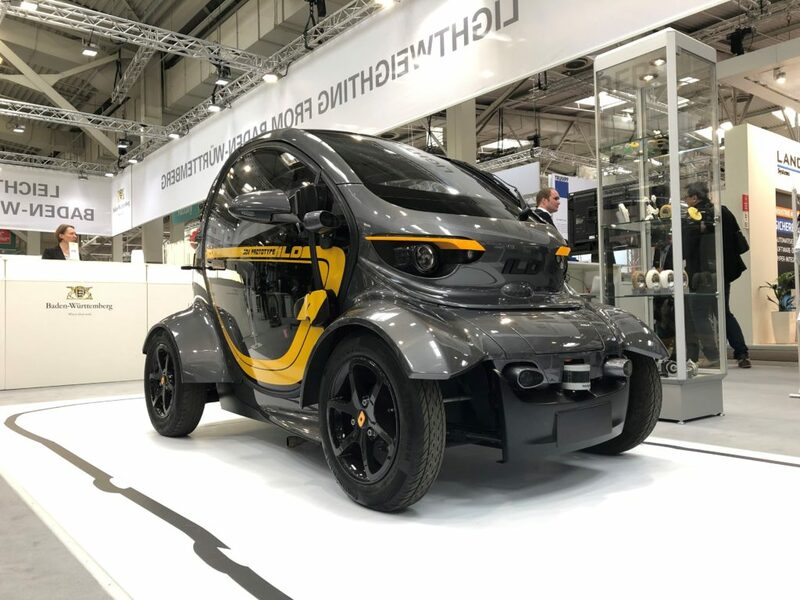 “We had to optimize every part with regard to functionality and make it lighter, otherwise the complete system would not have worked and we would not have been able to get under the 450 kilogram limit,” Müller explains. 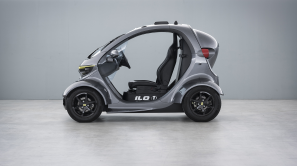 The outer skin of the “ILO 1” consists entirely of a thin CFRP laminate. There are many parts that are produced from CAD with metal or plastic 3D printing. 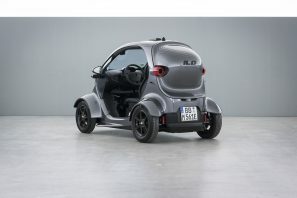 With one battery charge, the “ILO 1” can drive up to 80 kilometers. 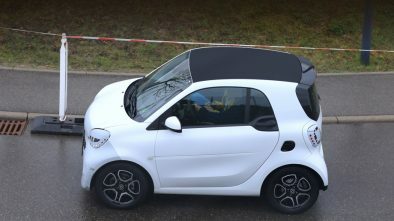 With a width of only 1.3 meters and a length of 2.3 meters, it occupies an area of only about three square meters when parking. Normal cars need 8 to 10 square meters to park. “If there were only ILOs on the road, in numerous cities you would immediately free up areas. 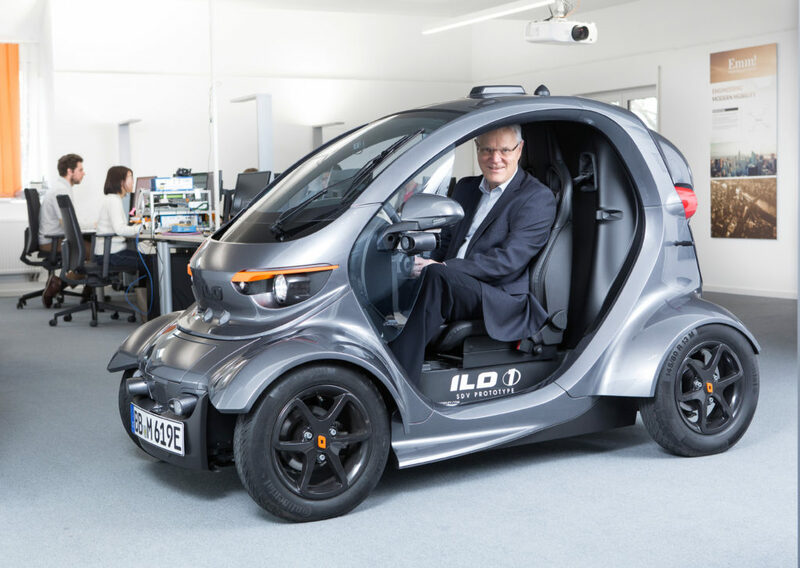 With our car there would be no more parking problems because you could use a normal passenger car parking spot to park two ILOs there – the traffic volume would be cut by half,” says Müller.